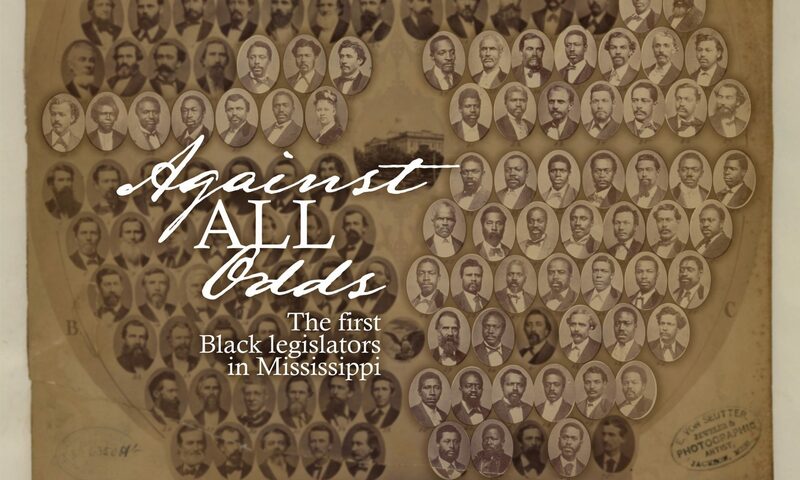 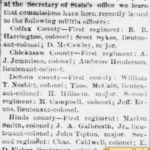 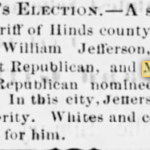 Appointed to be major in the second regiment of the Hinds County militia in 1873. 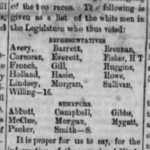 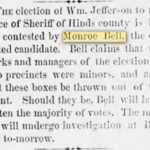 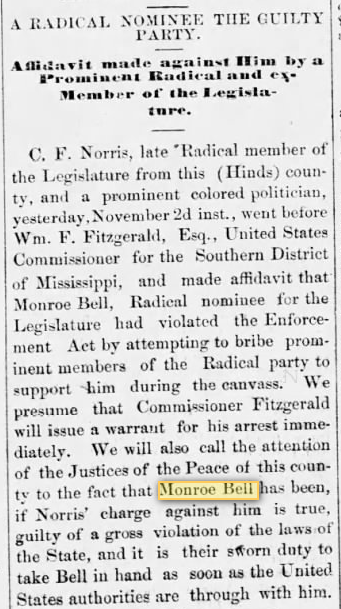 Bell and his wife, Cornelia, are listed on the 1870, 1880, and 1900 census in Hinds County. 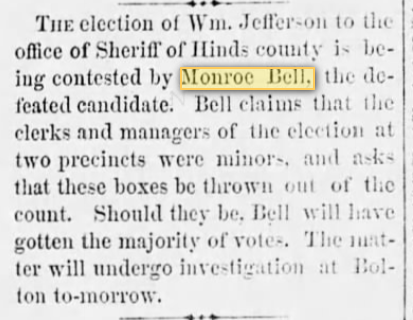 Bell’s occupation is given as “Supervisor” in 1870 and farming in 1880 and 1900. 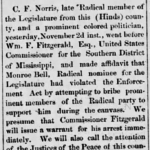 According to a pension application filed by Cornelia in 1911, Bell served in the 5th U.S. 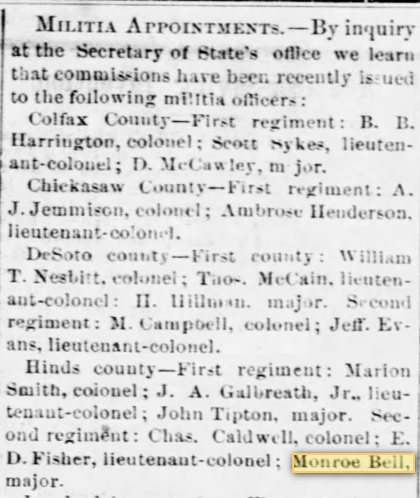 Colored Heavy Artillery during the Civil War.